First, God became man to pay the penalty for man's sin. The penalty for sin is death (Rom 6:23). In other words, an innocent scapegoat must die in the place of the guilty in order for a holy God to unconditionally forgive sinful man (Gen 3:21; Heb 9:22). Yet the sin of Adam and Eve brought eternal consequences and permanent separation from God (Rom 5:12, 14). Thus, only eternal God could die to pay the penalty for the eternal barrier between God and man. How can God die since Deity cannot be subject to death? The only way for God to die is for Him to become a man. Second, God became man to reverse man's sinful condition. The first Adam through his one act of disobedience involving the Tree of Knowledge of Good and Evil universally cursed humanity and the world (Rom 5:12; 8:20-22). By contrast, Christ through His one act of obedience involving death on a tree or the cross of Calvary (Deut 21:22-23; Gal 3:13), brought universal blessing to the world. However, the only way for God to reverse the consequences ushered in by the first man was to become man Himself. Because Christ became a man to bring universal blessings and undo the universal damage ushered in by the first man, the Scripture consistently refers to Christ as the "last Adam" (1 Cor 15:45; see also Rom 5:18-19). Third, God became man to exemplify how we are to treat each other. When we study the servant attitude and humility of God as He condescended to become a man, we see a prototype for how God wants us to treat each other. Thus, the strongest biblical statement of the Incarnation is found in a context where Paul seeks to use this doctrine to stop warring factions within the Philippian assembly (Philip 2:5-8; 4:2-3). When we see the role model of true service to others through the Incarnation, this informs us regarding the self-sacrificial attitude we are to have toward others (Mark 10:42-45). Fourth, God became man to reveal the Father. Prior to the Incarnation, sinful man had corrupted the true understanding of God (Rom 1:18-19). In fact, humanity in general had never seen God (Exod 33:18-20; John 1:18a). There was no better way for God to restore the proper concept of God to man than by becoming one of us. 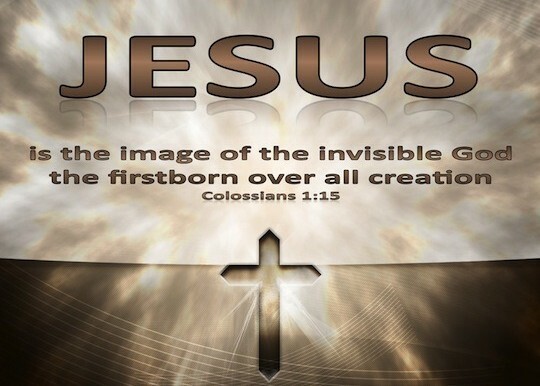 Thus, the Scripture portrays the Incarnate Christ as the exact image of God (John 1:18b; 14:8-9; Heb 1:3; Col 1:15). Fifth, God became man to be our Kinsman Redeemer. In the Old Testament, the redeemer was always the next of kin or the nearest relative known as the kinsman redeemer. For example, if someone's property went into foreclosure, it was the responsibility of the nearest relative to pay the mortgage so that the property could remain in the family (Lev 25:25). Similarly, if a childless woman was widowed, it was the responsibility of her unmarried brother-in-law who was the nearest relative to marry and impregnate her so that the family line of his deceased brother could continue (Deut. 25:5-10). This arrangement, known as Levirate Marriage (Gen 38:8-9; Matt 22:23-33), explains why Boaz married Ruth. He did so because he was the next of kin or the nearest willing relative (Ruth 2:20; 4:4, 6). Christ's Incarnation richly fulfills this Old Testament typology. As a man, He is a close relative to us and thus is qualified to be our kinsman redeemer. Sixth, God became man to become our merciful High Priest. The function of a priest is to minister to those under His authority. Christ's Incarnation qualified Him to do so since He has stood in our shoes and experienced both trials (Heb 2:18) and temptations (Heb 4:15) as a man. In His Incarnation, He experienced all of the limitations of humanity including labor (Mark 6:3), extreme distress (Luke 22:44), trouble (John 12:27), thirst (John 19:28), hunger (Matt 4:2), fatigue (John 4:6), grief (John 11:35), and even lack of understanding (Matt 24:36). As a man, He was also pushed to the furthest degree a human being has ever been pushed in the only three ways that temptation comes: lust of the flesh, lust of the eye, and the pride of life (1 John 2:16; Gen 3:6; Luke 4:1-13). Thus, Christ's Incarnation qualified Him to minister to us as a high priest in the midst of tribulations and temptations since He has gone through what we experience and far worse. Seventh, God became man in order to become the mediator between God and man. A mediator represents both parties in a dispute. In the midst of his adversities, Job's complaint was that He could not represent his interests adequately before God since He was not God himself. He complained, "For He is not a man as I am that I may answer Him, that we may go to court together. There is no umpire between us, who may lay his hand upon us both" (Job 9:32-33). Yet because Christ's incarnation made Him both man and God, He alone is qualified to be our Mediator to God (1 Tim 2:5). He is the unique God-Man who alone is capable of bridging the gap between God and man. During the hectic nature of this Christmas season, let us take time to reflect upon the true meaning of the season: the Incarnation of our Lord Jesus Christ. Adapted from Hal Lindsey, Amazing Grace (Palso Verdes, CA: Western, 1995), 107-14.